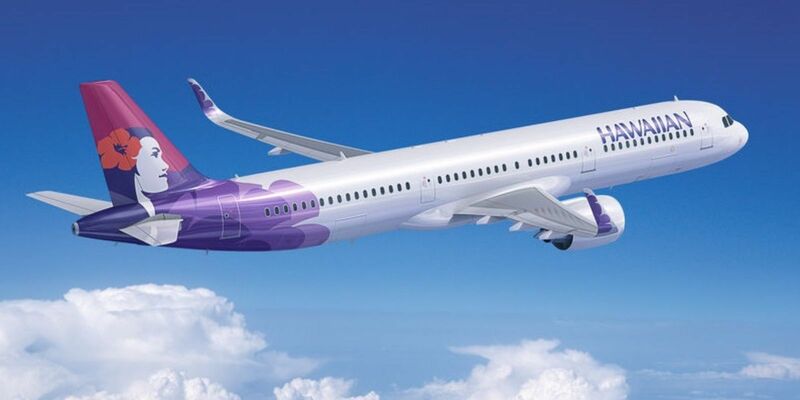 Hawaiian Airlines, Hawaii’s carrier, revealed an updated brand identity and the freshly-painted livery of a Boeing 717 (N488HA), the first of its fleet of more than 50 aircraft that will feature the new design. Pualani (Flower of the Sky), the beloved icon of Hawaiian’s brand for more than four decades, continues to gaze forward on the tail of the aircraft; beneath her, a silver maile lei with woven pakalana flowers wraps around the fuselage in a larger-than-life expression of the aloha spirit. In addition to the refreshed livery, travelers across Hawaiian’s U.S. and international networks will begin to see the new logo throughout their journey — on web and digital assets, airport lobby signage and kiosks, and at boarding gates. Painting of all aircraft and ground service equipment is scheduled to be complete by 2020. Hawaiian worked with Lippincott, a global creative consultancy, on the new identity. Hawaiian’s brand team and Lippincott spent a year studying the airline’s history, working with a committee of front-line employees, and immersing themselves in Hawaiian culture to arrive at the new design. The new identity retains Hawaiian’s distinctive color palette of purple, fuchsia and coral. Pualani—the singular icon of the brand—remains at its core. The new logo and livery emphasize Pualani by featuring her more prominently and liberating her from the floral “holding shape” of the former logo. She gazes proudly with the wind in her hair, adorned with a hibiscus flower and framed by a Hawaiian sunrise. The expressive, organic graphics reflect the natural forms of Hawai’i. Rendering of Hawaiian’s new Airbus A321neo’s that will start to arrive in late 2017-early 2018. The addition of the lei elements to the livery accentuate the three-dimensional contours of the aircraft fuselage while also incorporating a rich, meaningful cultural narrative that reflects the carrier’s strong sense of place and identity. Updated typography and bright, emotive imagery support Hawaiian’s positioning as a premium leisure airline, focused on warm hospitable service. Serving as a brand constant, Pualani has evolved at pivotal moments in the carrier’s ever-changing phases of growth as seen in a historical timeline online. Debuting in October 1973, she was one of the first female icons painted on the tail of a commercial airline and marked Hawaiian’s transformation to an all-jet airline with the entry of McDonnell Douglas DC-9s. While slight variations were made to the red hibiscus in her hair over the next 28 years, Pualani’s last evolution was in 2001 when Hawaiian’s new interisland Boeing 717s and transpacific Boeing 767s entered the fleet, ushering in a more competitive and sophisticated airline at the time expressed through brand adaptations representing the look of a 21st century Island woman. The new visual identity preludes the next chapter in Hawaiian’s 88-year history with the arrival of the medium-haul, single-aisle A321neo fleet later this year. It is the next step in a series of major investments Hawaiian has made to aircraft cabins, lounges, and other aspects of the customer experience over the past five years, to elevate the carrier’s service and ensure Hawaiian’s position as the preferred airline for travelers flying to and within Hawaii. To complement its new phase of growth, the airline will also roll out new uniforms for its frontline employees, themed Kū Mākou or Together We Stand, by the end of 2017. Since 2001, Hawaiian has more than doubled its route network, from 13 to 27 airports served, including 11 international destinations. 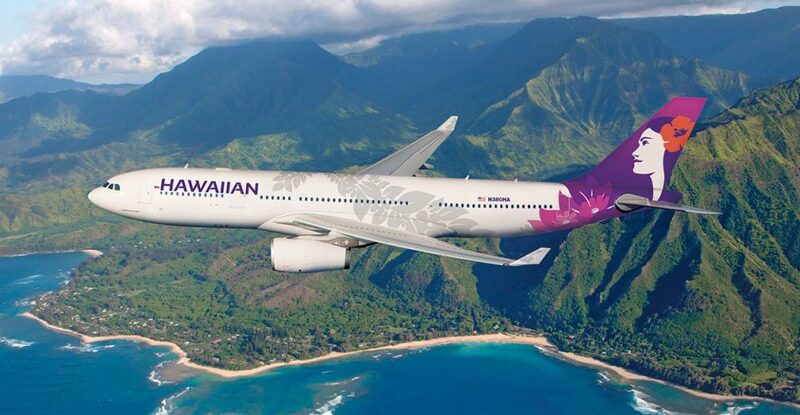 Hawaiian currently operates a fleet of 23 Airbus A330s, 20 Boeing 717 aircraft and eight Boeing 767s. It also provides turbo-prop flights using three ATR-42 aircraft through its ‘Ohana by Hawaiian service. The airline expects to take delivery of 18 new A321neo aircraft between the fourth quarter of 2017 and 2020.